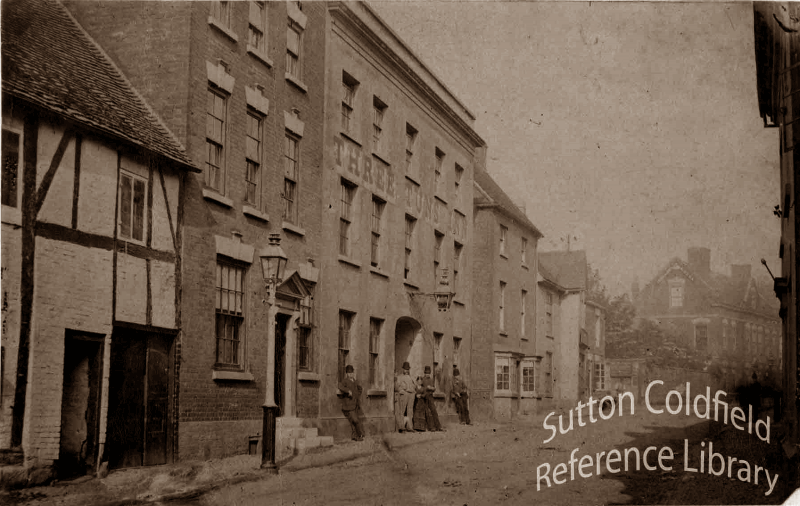 If the letter from Cromwell to Captain Eyre, of Wolverhampton, - preserved in the Salt collection - be genuine, Cromwell himself was in the town of Sutton on the 27th August 1643” wrote Riland Bedford in his “History of Sutton Coldfield”, 1891. W.K.Riland Bedford, himself a collector of antiquities, was right to be suspicious - there were many collectors, known as antiquaries, prepared to pay high prices for historic manuscripts and letters. A successful forger could make a living by marketing his fake documents. One such forger, Howland Smith of Edinburgh, forged manuscripts from various historical people, such as Mary, Queen of Scots, Oliver Cromwell and Sir Walter Scott, and began to sell his forgeries in 1886 and continued for the next five years. He sold them to bookshops, auctions and pawnshops, usually at modest prices. An American collector, who had bought 2020 letters from a manuscript seller, sent them to the British Museum to be verified. The museum's handwriting experts found out that at least 201 of them were forgeries. William Salt was a prolific collector who died in 1872, and his collection forms the core of the William Salt Library at Stafford. Several suspected forgeries in the collection were sent to the British Museum for verification, and some of them, including the Cromwell letter of 1643, proved to be fake. Not surprising, as Cromwell was active in the east of England at the time. But the idea that Cromwell had stayed at the Three Tuns in Sutton did not die with the debunking of the letter. Somehow the idea that Cromwell had stayed at the inn was connected to the reports of a ghost of a drummer boy in the cellars, and the date of 1643 was used to assert that the Three Tuns was the oldest inn in Sutton. This in turn gave rise to the theory that the future King Henry VII must have stayed at the Three Tuns on his way to victory at the Battle of Bosworth in 1485. The Duke of Richmond, as he then was, lost contact with his army while marching from Lichfield to Tamworth on August 19th 1485, and spent the night in a village three miles from Tamworth - Sutton romantics had no difficulty in interpreting this as being the Three Tuns. But the myth lives on, along with the apocryphal story of Henry VIII hunting in Sutton Park, although the Three Tuns does not claim Henry VIII as a guest. The real histories of the Three Tuns, which was not converted from a private house until after 1700, and of the granting of the town’s charter in 1528 thanks to Bishop Vesey’s interest with the king, take second place to the more attractive fictional versions.